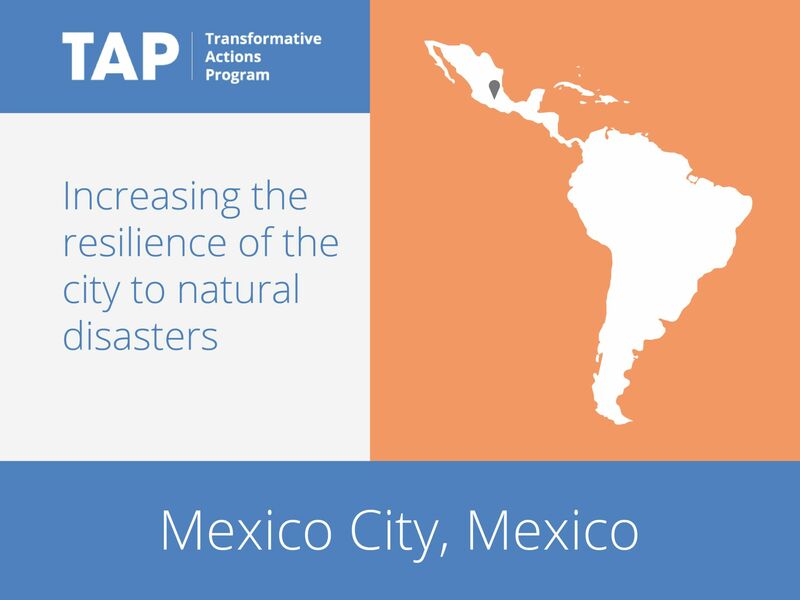 Mexico City’s geographical location leaves it vulnerable to earthquakes, while the accelerated growth of the city has created social inequality and poverty, as well as degradation of the environment and air pollution. The city has therefore developed a resilience strategy, which seeks to maintain essential functions during disasters and to increase the city’s ability to recover quickly. It also provides an opportunity to integrate stakeholders into long-term efforts to address chronic and acute tensions within the city, including those around mobility and water supply. The Resilience Strategy represents an opportunity to promote the incorporation of a transversal long-term vision in the city, to help the government, the private sector and civil society to understand and address the impacts of chronic and acute tensions in a holistic manner at multiple levels (delegations / municipalities, city, Megalopolis); Therefore, it has promoted the creation of the Steering Committee of Resilience.